In the past, it was absolutely commonplace to have an inefficient furnace or heating system in your home. However, with impressive advancements in HVAC technology, there is now simply no reason for anyone to worry about inefficient heating in the winter. Living in Canada, you are probably aware of the importance of having an effective and efficient furnace to heat your home without interruption during the frigid winter season. If you are having efficiency problems with your furnace, it is crucial to take care of the problem as soon as possible. For residents in Mississauga, and anywhere throughout the GTA, Air In Motion Heating & Cooling offers the perfect solution. The expert HVAC technicians at Air In Motion can offer a variety of heating and cooling services to keep your HVAC unit running smoothly all year round. Preventative maintenance is always recommended when it comes to any type of machinery, to help avoid extensive repair bills and unnecessary replacements. There are a number of clues or hints to be on the lookout for that may indicate your HVAC heating system is operating inefficiently. If your HVAC heating system is running constantly, with no breaks, then that is good indication there is a problem. An efficient furnace will run intermittently, as triggered by proper thermostat settings. If you are experiencing this issue, it should be taken care of immediately to prevent excessive energy costs, increased repair bills, and damage to the HVAC unit. If some rooms in your home are hotter or cooler than others, then the heat is not being evenly distributed by your furnace. This may also result in increased output as your heating system attempts to adjust. An efficient HVAC unit will provide consistent and even heating throughout your entire space. An inefficient HVAC heating unit will typically incur higher repair costs, and more frequently needed repairs. If you are having to call for repairs on a regular basis, then it may be time for an overhaul or replacement of your system. Regular maintenance from an Air In Motion HVAC technician can help negate and eradicate the need for repairs. Steadily increasing heating bills is a likely indication of an inefficient HVAC system. If you are noticing that your monthly utility costs are constantly on the rise, but you have not been turning up the thermostat, it is probably time for some HVAC maintenance and an overall tune-up. In some situations, it is just a case of an older, worn out heating system. If you have been using the same furnace for many years, it may be time for a replacement. 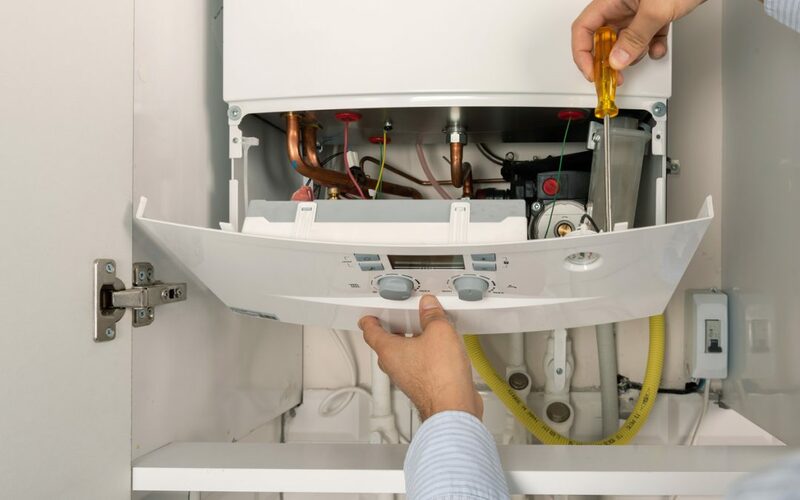 Replacing an old system may seem like a massive expense, but it can end up saving you money in the long run. It will have to be done eventually right? So, why keep paying for unnecessarily high energy bills in the meantime? HVAC technicians at Air In Motion can help you figure out the best possible HVAC unit for your space based on a tried and tested scientific process.